Last week we were reminding ourselves about time and how time seems to fly by. Well, believe it or not, here we are the the final week of the church’s liturgical year with the Feast of Christ the King, a feast day that celebrates Christ’s messianic kingship and sovereign rule over all creation. We stand right on the brink of Advent as we begin to reflect and prepare for the holy celebration of Christmas. As I’ve said before, Christ the King is not my favourite feast of the church year as it can tend to have a ‘triumphalist’ feel about it, which lies in contrast to so many images of God in Scripture. For Australian Anglicans, the concept of monarchy is completely benign, and you only have to watch the recent adulation of the Duke and Duchess of Sussex to see that royalty occupy a significant place in our national heart. 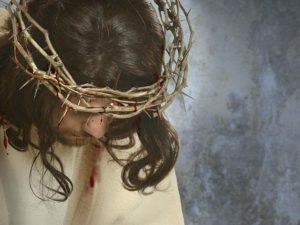 Yet for many people across the world, the reign of ‘kings’ has often been oppressive, and throughout history many have struggled or been persecuted under powerful tyrannies, which raises unhelpful images of the God we serve and come to in faith, the God we find demonstrated in Jesus. There are so many other images and names for Jesus the Christ that speak to where we are in our lives; the good shepherd, the bread of life, the cornerstone, the light of the world, Emmanuel, God with us. This year we mark this feast day through the prism of John’s Gospel and the passion story. The King we find here is vulnerable, and anything but regal and powerful. It reminds us that God isn’t who we expect God to be, but one whose kingship is invested in brokenness and love and compassion. In just one week we will begin the Advent cycle and the liturgical year of Luke, and begin to immerse ourselves in Luke’s Jesus, the one who comes among us as the promised one, and who is shown to be the healer, the one welcomes women, the weak and the vulnerable. Just as we do on New Year’s Eve, we stand on the brink of another liturgical year, with both our reflection on the past, and our hopeful anticipation of what lies ahead of us.